Bugatti Veyron 1 Owner 700 Miles from New! Luxury Motorcars has done it once again. 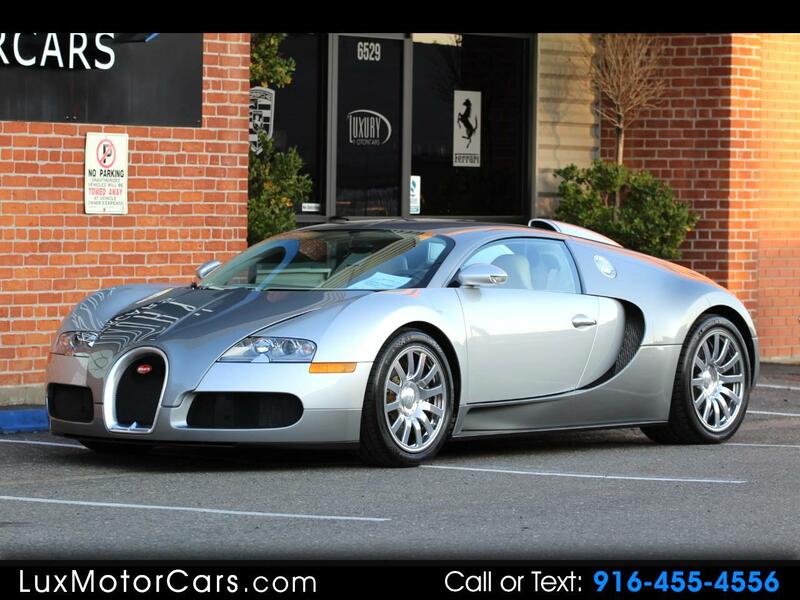 Offered for sale is a gorgeous one owner 2008 Bugatti Veyron. With only 700 miles from new it comes with a fresh service and new tires from our local Bugatti Dealer. This one owner car is truly one off example of collector quality. We believe this is the lowest mile Veyron currently for sale in U.S. market. In 2008 Bugatti was the benchmark for supercars, with more than 1,000 HP it was a preview of what was to come. Only 71 total cars were produced in 2008. This Bugatti is Chassis #66 and is the 20th. vehicle imported to the United States in 2008. With it's one of a kind 8.0 Liter Quad Turbocharged W16 it will get you zero to 60 in a mere 2.5 seconds. Along with the two toned leather appointments rocks a 400 watt sound system. Navigation is displayed in the rear view mirror and hands free cell phone connectivity. Stability control and traction control are standard along with carbon ceramic brakes. Which will come in handy should the opportunity arises to blip the throttle in search of 250 MPH plus. This is achieved with a special key inside the cabin. Without you are limited to a mere 233 MPH. We are offering this one with all factory keys and books. And receipts from the service that was completed January 2019. If you are one of the lucky few to take advantage of this rare opportunity, you will not find a better example on the market today. Message: Thought you might be interested in this 2008 Bugatti Veyron W16.4.